Why do people need protein? Protein is an essential part of every living organism that takes part in processes within cells. It is vital for body maintenance and repair. The protein from the foods is digested into amino acids that are used to replace proteins in our bodies. Proteins are organic compounds made of amino acids arranged in a linear chain and joined together by peptide bonds to make thousands of different proteins. Scientists have found many different amino acids in protein, but 22 of them are very important to human health. Of those 22 amino acids, your body can make 13 of them.But it can't synthesize the other nine amino acids(histidine, isoleucine, leucine, lysine, methionine, phenylalanine, threonine, tryptophan and valine), but you can get them by eating protein-rich foods. They are called essential amino acids because it's essential that you get them from the foods you eat. 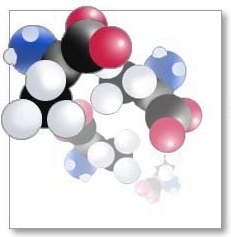 An incomplete protein source lacks one or more the essential amino acids. Complementary proteins are two or more incomplete protein sources that together provide adequate amounts of all the essential amino acids. A complete protein source has all 9 of the essential amino acids. It called high quality proteins too. 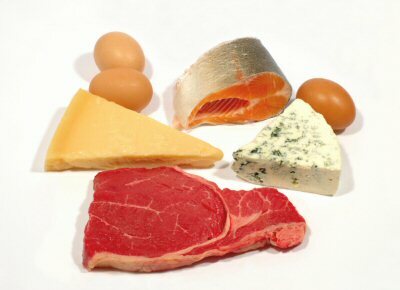 Animal-based foods such as milk, meat, poultry, fish, eggs, and cheese are complete protein sources. You can calculate how much protein you need if you know how much you weigh. Each day, kids need to eat about 0.5 grams of protein for every pound (0.5 kilograms) they weigh. That's a gram for every kilogram of you weigh. Your protein needs will grow as you get bigger, but then they will level off when you reach adult size. Adults, for instance, need about 50-60 grams per day. In general, it's recommended that 10–35% of your daily calories come from protein. In practical terms, what does 30% or less of calories from fat mean?